United States president, Barack Obama had the correct strategies and tactics during his campaign. Both of his elections shocked Americans due his high success rates. He faced all odds during both of his campaigns. Obama along with his young team used social media to come out on top. He was the first president to harness the power of social media to spread the word and gain support. Since mostly younger generations of Americans are more active on social media websites compared to adults, the campaign had a youthful vibe to it. In 2008, Obama made history because he was the first African American to be elected as president. 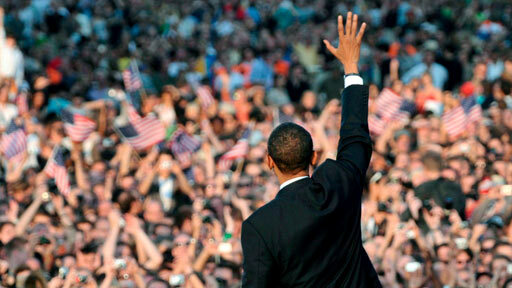 The Obama campaign reached 5 million supporters on 15 different social networking sites over the campaigning season. The Obama team hired Chris Hughes, cofounder of Facebook to help develop Obama’s social media so it out-shined other candidate’s. 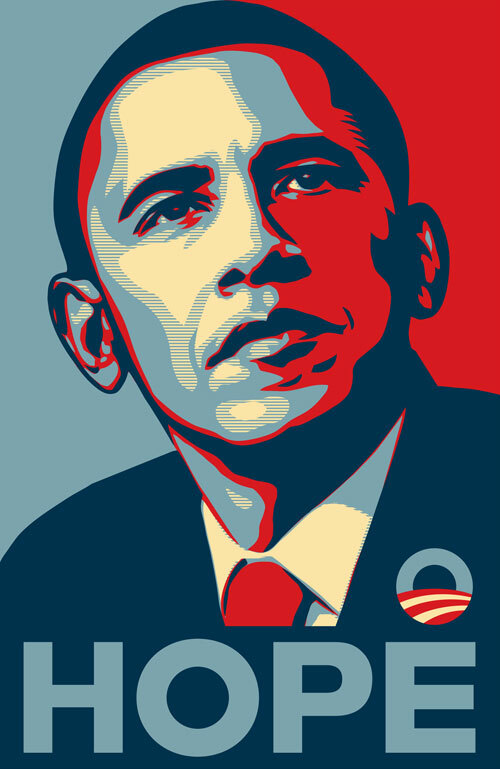 During this election process in America anywhere you went you saw the Obama “Hope” poster. People were getting this image printed on T-shirts, stickers and anything you can imagine. One of the most interesting campaigning strategies that I have read about is “Dinner with Barack”. Dinner with Barak is a “traditional fundraising event upside down”. Traditional fundraising dinners seem extremely boring (which they probably are) and it is a time that allows donors of high dollar amounts to buy access. The Obama campaign did the opposite and selected four donors of any amount who had shared their stories to meet Obama in a dinner setting to discuss their issues. The stories helped add faces to the donors and helped Obama seem a lot more personable, approachable and definitely likable. After discussing their issues and ideas, the events were broadcasted on YouTube and the campaign’s websites. The election of 2012 was still a challenge for Barack and his team even though they have these awesome campaigning strategies. His opponent, Mitt Romney knew that he would have to step up his social media game in order to compete with Obama. He hired a young team of social media specialists, much like Barack’s. Obama’s staff stayed on top and kept their presence on social media by sending out registration information and statements about Obama’s views, posting articles, and tweeting facts. 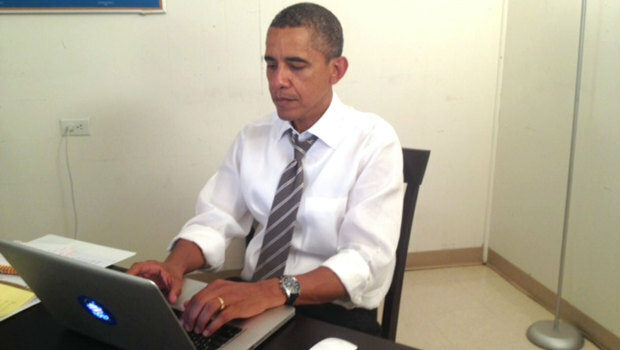 Obama created a strategy called “Ask Me Anything” on Reddit. This was a Q&A session for Obama and his supporters. Soo what I’m basically saying is that if any presidential candidate uses social media they’ll automatically win? No. Obama didn’t just make a Facebook page or a Twitter account, but he created energy of community among his supporters. The real power of social media was not the number of posts or Tweets but user engagement. Because of the actual real-time connections between the Obama campaign team and the fans, it created a feeling of involvement and participation and the word of Obama’s goals rapidly spread. Authenticity really helped Obama win. People knew that he was a genuine guy and that what he was promising was actually achievable. His staff stayed connected constantly updating social media about their wear abouts and how the campaign is going. Because of the rapid increase in popularity of social networking sites, there was a huge difference between Obama’s campaign in 2008 and 20012. In 2012, there were 69% of American adults that used social networks, which was a major increase from the 2008 election, where only 37% of American adults were social media junkies. So after Obama’s amazing strategies, what are the strategies of the future presidential candidates?